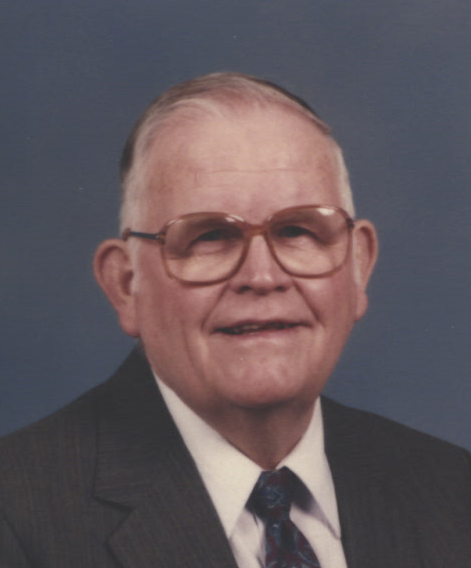 Funeral services for Sherman O. Waage of Duluth, Minnesota, formerly of Morris, Minnesota will be on Saturday, February 16, 2019 at 11:00 a.m. at First Lutheran Church in Morris. Reverend Dan Belgum-Blad will be officiating. Visitation will be on Friday, February 15 from 4:00-7:00 p.m. at the Pedersen Funeral Home and for one hour prior to the services at the church on Saturday. Burial will be at Summit Cemetery in Morris. Sherman Orlando Waage was born on November 15, 1923 in Pillager, Minnesota to Henry and Julia (Hustad) Waage. The family farmed in Minnesota and South Dakota during the Depression. Sherman graduated from high school in Sebeka, Minnesota in 1941. After his schooling, he enlisted into the United State Navy and was an Anti-Aircraft Gunnery Instructor at the Great Lakes Navel Training Station. After WWII, he attended and graduated from National Schools in Los Angeles, California, with training in Diesel and Automotive Engineering. Sherman accepted a position with Ottertail Power Company in Morris, Minnesota in 1948; where he worked until his retirement in 1985. Sherman was united in marriage to Betty Jenney in 1950 and they had three sons. The family, while Sherman was working for Ottertail, lived in Morris and Langdon, North Dakota. Sherman was very active in the community. He was a member of the American Legion, Jaycees, the volunteer fire department, Sons of Norway and the Lutheran Church council in Morris and Langdon. While in Morris, Sherman directed the expansion of West Central Homes – the wing was even named after him! He served as an election judge for 40 years. Sherman was proud to be a Veteran, and Ottertail Power employee and full-blooded Norwegian. He was able to attend the WWII Veteran’s Celebration in Washington D.C. and to have his military history recorded in the Library of Congress. Sherman loved to travel and made several trips to Norway and other parts of Europe, the Middle East and Alaska. He was a skilled woodworker and loved genealogy. Most importantly, Sherman cherished the time he was able to spend with his family, especially watching his sons’ and grandchildren’s sporting events. Sherman died peacefully on Thursday, January 31, 2019, at the Benedictine Health Center in Duluth. He was 95 years old. Sherman is survived by his wife, Betty; son, Dr. Roger (Mary Beth) Waage; daughter-in-law, Dr. Jean Hollenstein; and grandchildren: Liz (Bill) McNaughton, Emily, Annie, Christian, and Matt Waage; one great-granddaughter, Addison McNaughton, whom he was happy to get to know! He is preceded in death by his parents: Henry and Julia; sons: Douglas, in infancy and Dr. Jim Waage; and his brothers and their spouses: Walter and DeLoris and Gordon and Gladys; and one sister, Elvira. The family would like to thank the many people who were so kind to Sherman during his seven years of long-term-care at West Wind Village in Morris and the Benedictine Health Center in Duluth. Pedersen Funeral Home in Morris is in charge of arrangements for Sherman.